Good hosting is essential if you’re to get good traffic. After all, you can have the most wonderful content in the world, presented on exquisitely beautiful pages with lots of sumptuous eye-candy – but if your server spends more time down than up, then eventually people trying to view your site will give up in frustration. But how do you choose your host? Let’s look at the basic steps you need to consider. First of all, you have to think about the website you’re planning to build. If you’re only building an online sales brochure for your bricks-and-mortar business, then your needs will be pretty modest. You’ll probably only need a handful of pages – enough to illustrate your products and tell the world how great you are, where your business is and how to get in touch. So the chances are that you’ll be able to get by with a very basic hosting package offering a minimal amount of web space (the amount of server storage space they allot for the files that go to make up your site) and monthly bandwidth (the amount of data transferred to and from your server as you upload your files and people view your web pages), plus a few email addresses. On the other hand, if you want a big, fancy website that’s all-singing, all-dancing, with lots of audiovisual content and plenty of scope for your visitors to interact with the site, then you’ll need something a bit more sophisticated. A lavish site like this will need a content management system to keep track of all those pages you’re creating. And then you might think it’s a good idea to keep people up to date with what you’ve been doing recently, so you might want to start a blog and/or a regular newsletter. You might also want a discussion forum to enable your site’s visitors to keep in touch with you and each other. All these add-ons need software, which is stored on your server along with any other content files you have (like images, videos, sound files…). They also need databases. Databases are great because they make everything a lot more convenient for the website manager and make for a much richer website experience too. But they also increase the amount of file storage space that the site needs on the server. They also complicate the process of serving web pages, thus putting more stress on the server. (Bear in mind that with cheap hosting, you’ll be sharing a server with several other people’s sites, all of which put varying amounts of stress on the server at any given time. And it may only take one person’s badly-configured site to snarl up that server for all the users.) Many cheap hosting packages don’t provide databases at all. Other considerations are whether you want to host multiple websites, or to operate an e-commerce site allowing people to buy products from you direct. Again, these are likely to add to the load on the server, and thus to affect your uptime. 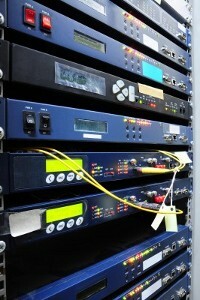 The good news is that these days hosting companies are not terribly hung up about web space or bandwidth. Not so very long ago things were rather different, but these days you can generally find an affordable package which gives you far more web space and bandwidth than you could ever use in a month. Geography may also be something to think about. If you’re aiming at a specific country or territory with your website, it may make sense to buy hosting from a company whose servers are within that territory – especially if you have a generic .com, .org or .net website. That way, you can be sure your site will be included in country-specific searches. And if you’re running multiple websites, it may make sense to have a range of small hosting packages (possibly in several different territories), rather than one big chunk of hosting in your home country. For straightforward hosting, HostGator seem pretty popular – although some of my pals have reported issues with their support, others have had good experiences throughout. For more sophisticated requirements, I wouldn’t hesitate to recommend our own hosts, ServInt. They provide Virtual Private Servers, so you can install your own high-end software knowing that the low-end stuff can be tweaked as necessary to enable it to run. And although they have an excellent reliability record, their support staff are quick to respond to problems – sometimes even before you know you have a problem! – and very willing to help.